Our founder, Richard Carter, is speaking at the second Magento North East user group here in Newcastle upon Tyne. His introduction to Magento theming talk will be held at Campus North in Newcastle upon Tyne on Monday, 7th December 2015. We’re lending our Magento expertise to a group of Magento enthusiasts including store owners, web designers and web developers on the topic of Magento theming. As a leading Magento agency in the North East, we’ve been building websites with Magento and Magento Enterprise for many years, and have a deep understanding of how to customise Magento to accommodate bespoke website designs. 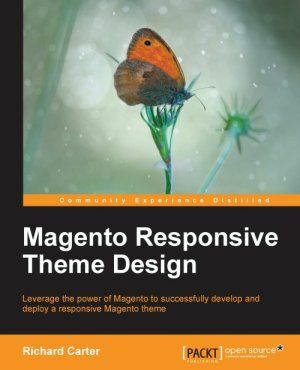 We’ve been working with Magento since its release in 2007, and Richard has written 4 books to date on Magento theming, including Magento Responsive Theme Design. This later publication captured the need for ecommerce websites to become mobile-friendly and ensure visitors on all modern devices can access and use your online store with ease. The next session at Magento North East will be held in early January 2016 and will be on the topic of an introduction to Magento 2. Please contact us if you would like to request the slides from the talk, or have any queries about our talk at the event.